The first layer, the data model, represents the information extracted by different weather provider. It abstracts this information so that, independently the weather provider you choose, you have always the same information presented in the same manner and with the same relations between them. 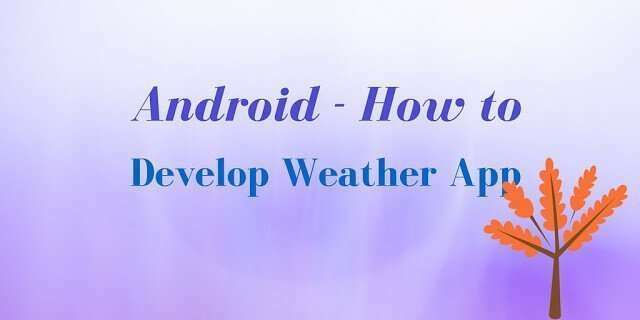 This layer implements the logic necessary to extract information from the weather provider, parsing the data retrieved and at the end of the process these providers populate the data model. The last layer is the client layer. This layer implements the logic to connect the weather provider (i.e. using HTTP connection) and handle the connection errors and so on. Once the data is retrieved the client uses the weather provider to parse the data. Each layer can be extended and customized easily so that you can support other weather providers or implements a different way to connect to the providers. We will see later how to do it. This is the model that stands at the library base and you interact with it when you want to get weather information. The CurrentWeather class holds all the information related to the current weather data. The WeatherHourForecast holds the information related to the hourly weather data and the WeatherForecast holds the information related to the next days weather. IProviderType that define the class name that must be instantiated to create the provider. IWeatherCodeProvider a simple interface to translate the weather code in a common format so that the weather code condition are indiependent from the provider. All the provider are created by the WeatherProviderFactory. Ok done! Our client is ready to use and ready to retrieve the information. where pattern is the partial city name you are looking for. In the onCityListRetrived you have a city list as reasult that can be passed to an ArrayAdapter for example to show the result to the user. The library source code is free so that everyone that wants to contribute to the library is welcome.If you want to contribute to the library you can use github and pull a new request so that I can merge your code. If you find bugs in the code you can open an issue on github or contact me. In case you use the library and you are satisfied with it I would like you could send some screenshots of the app you created. You can join the g+ community and post here the screenshots, you can join the community if you want simply to tell your opinions or suggest some improvements. If someone wants to contribute freely to the library providing a nice logo I would be very happy. I know some users experienced some problems importing the lib in the Eclipse, there is a jar file containining all the library classes so that you can import it directly into your project. Awesome 🙂 I would like to review your website in http://www.androidandfreak.info. In the blog there are other examples of how to use Weatherlib.